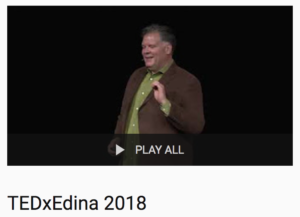 Click here for a playlist of TEDxEdina talks from our October 2018 event. 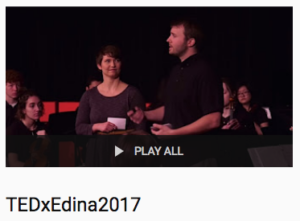 Click here for a playlist of TEDxEdina talks from our January 2017 event. 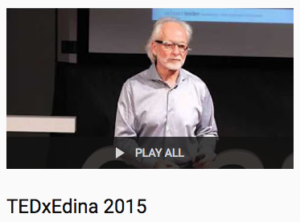 Click here for a playlist of TEDxEdina talks from our October 2015 event.